First used in Roman architecture; domes created a large and elegant interior space and provided a sense of openness to buildings. Today domes can be seen more commonly in luxury resorts, hotels and casinos. 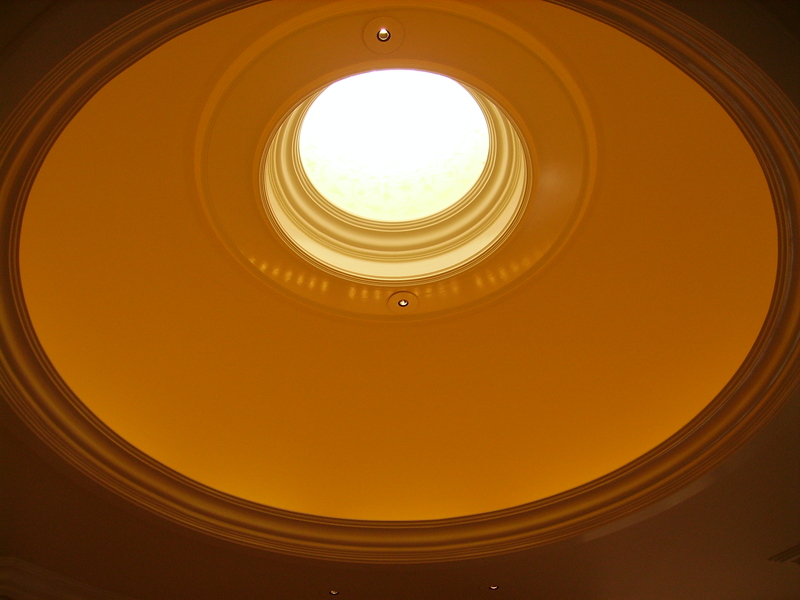 An interior dome by Stromberg will enhance the visual appeal of your business, resort or home; domes can also be used in dining areas, lobbies and entryways of private homes. Stromberg is a wise choice if you’re thinking of installing an interior dome. They’re the world’s largest producer of domes in a wide range of materials, textures and finishes. Stromberg can handle your project, no matter the size. Glass fiber reinforced concrete (GFRC) is a composite material; it’s made of Portland cement, aggregate, water, alkali-resistant glass fibers, polymer and additives. Stromberg will custom engineer their GFRC to fit your particular project. Compared to conventional stone and terra cotta, GFRC is much more lightweight, but it can be crafted to have the same look and texture as stone and terra cotta. GFRC can also be molded into any shape to fit your project specifications. GFRC Interior Domes, from Stromberg, are not only affordable, they are some of the best quality interior domes currently on the market. Because interior domes are suspended from the ceiling with screws, wires or rods, Stromberg GFRC is an excellent choice because of its’ lightweight quality. Because GFRC is reinforced with glass fibers instead of steel, it will be much easier and safer to install as an interior dome application. GFRC is a combination of cement, glass fibers, aggregates and polymers and Stromberg led the way in its creation. Glass fiber reinforced concrete is an attractive, durable, even fire-retardant material. GFRC is very lightweight and so can be cast in thinner sections for use in projects. GFRC is reinforced internally, so it’s easier to use in complicated shapes. GFRC is a very tough and durable product; it doesn’t chip easily. GFRC is a very adaptable product. It’s sprayed or poured into a mold and so can adapt to nearly any shape. The skills of the professionals at Stromberg Architectural Products will prove indispensable to you; they’ll work closely with you until your GFRC interior dome is completed to your satisfaction. Stromberg will help with CAD details, design assistance and specifications. Contact them today at (903) 454-0904 for a free custom quote, or email them.